It is definitely wedding season. We have many fun weddings we are looking forward to this summer, including my sisters! Sometimes, the wedding couple can be hard to buy for, especially if it is a relative you don't know very well. Well, if you are looking for a great fit that any couple will appreciate than let me recommend the prepaid AT&T Unite for GoPhone by NETGEAR. Whether you’re on a road trip, on vacation (or honeymoon), at a temporary worksite, in a weekend cabin, at the park, or working from the sidelines of your child’s soccer game — there are times when WiFi access is essential, and you don’t want to be limited to just your phone. A mobile hotspot from AT&T and NETGEAR gives you secure Internet access via AT&T’s 4G LTE network. It’s ideal for families, seniors (or if you’re visiting one without WiFi), small offices, telecommuters, students and road warriors to share a single mobile data connection with up to 15 Wi-Fi devices. The prepaid hotspot makes a great gift. There’s no contracts or reoccurring monthly fees. You just load it when you need it by purchasing data online or data cards available at most major retailers. I am loving the Prepaid AT&T Unite for GoPhone by NETGEAR. 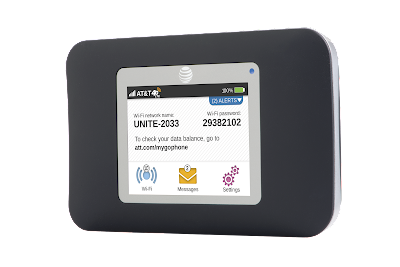 It has the same features as the AT&T Unite but in a prepaid version. As a blogger, there have been many times I needed to get on my computer but wasn't at home or near anywhere with WiFi. This prepaid hotspot is perfect for sticking in my purse, luggage, or in the car for instant internet access anytime, anywhere! 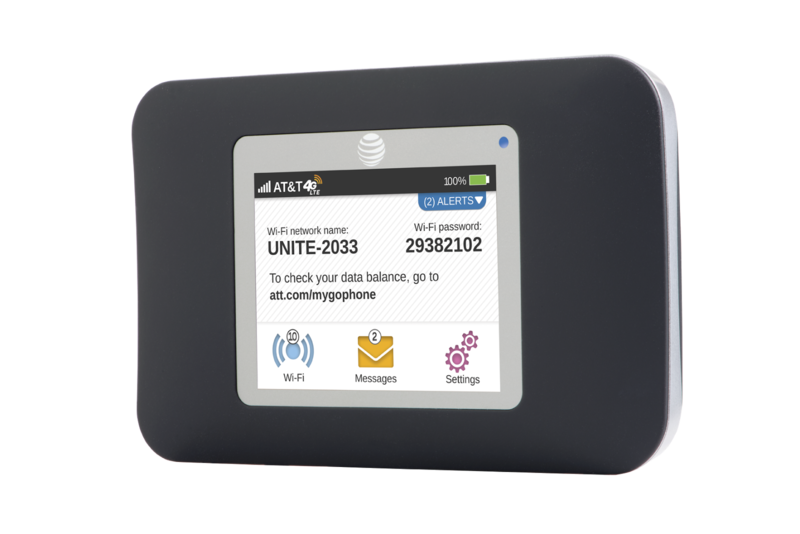 Plus, you can extend Internet connectivity to up to 10 Wi-Fi-enabled devices with this AT&T Unite 4G prepaid mobile hotspot. It features a 2.4" resistive touch screen for easy control of settings and allows you to monitor device and connection status at a glance and easily make adjustments. And the lithium-ion battery offers up to 10 hours of use on a full charge.That's enough battery power for playing, working, or traveling throughout the day before requiring a recharge! You can purchase AT&T Unite for GoPhone by NETGEAR for $79.99 with no annual contract, no credit check, and no monthly commitment on Amazon and at Walmart or Best Buy stores.